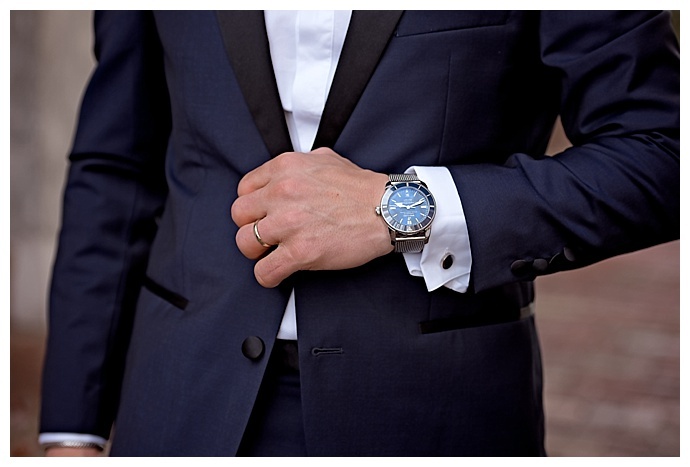 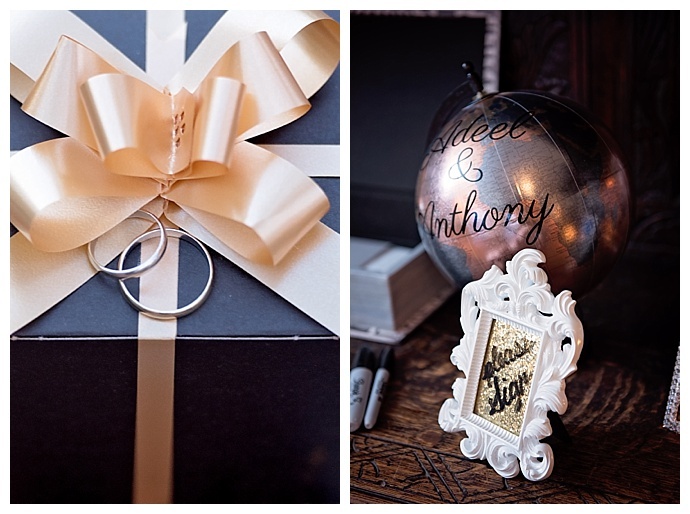 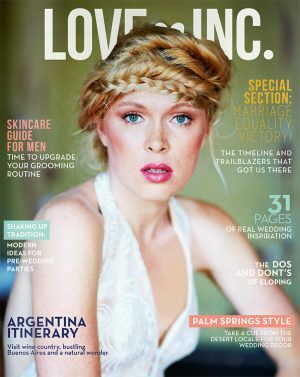 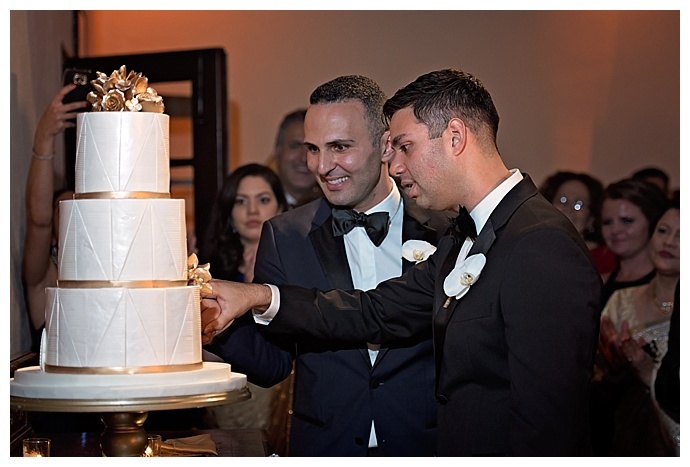 The Bellagio in Vegas called Anthony and Adeel’s names, and they eloped in front of the fountains before returning home to Orlando to celebrate with their friends and family. 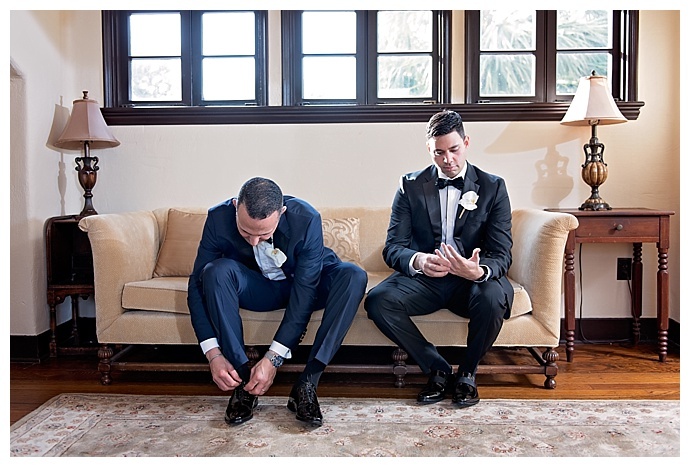 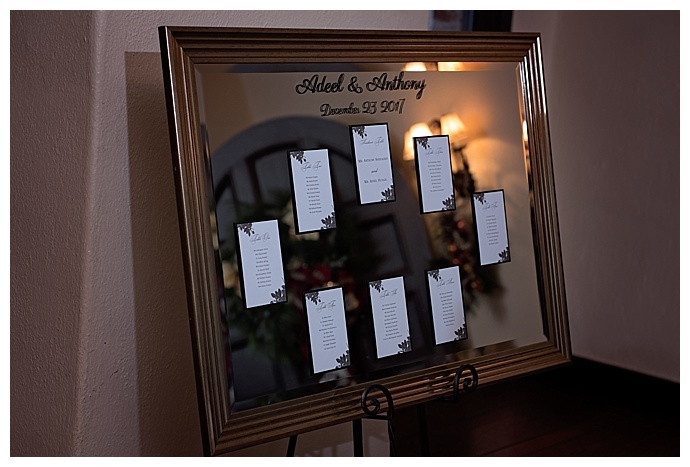 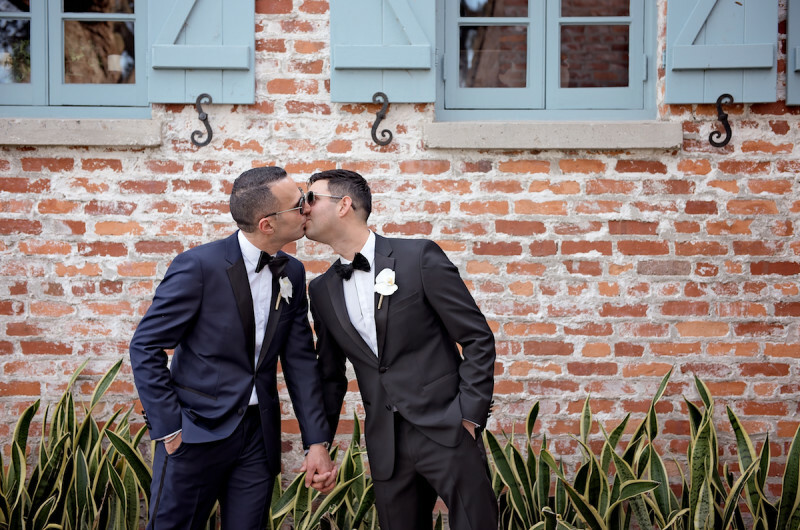 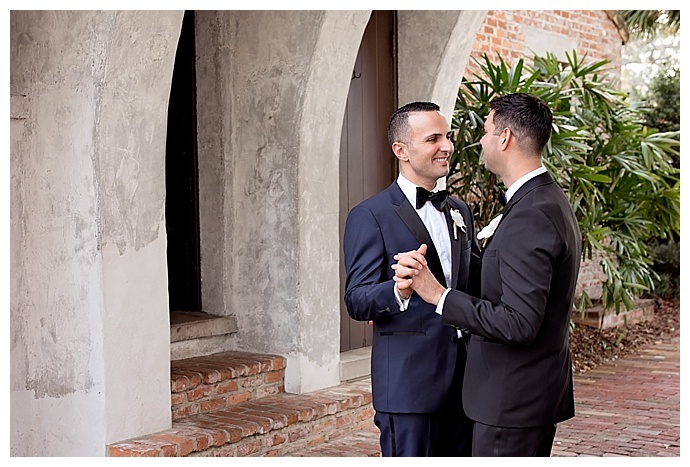 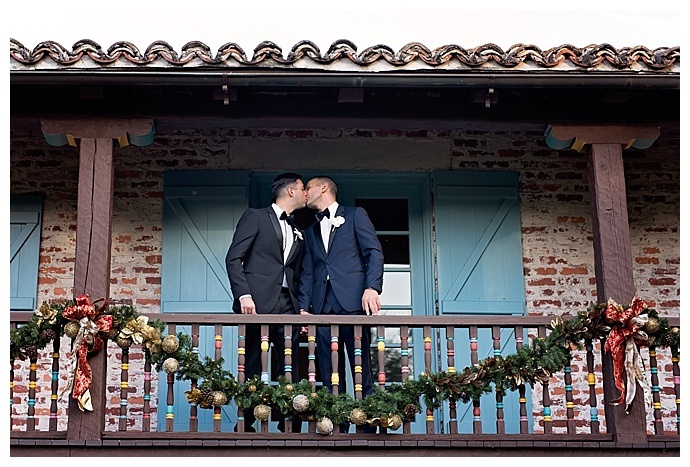 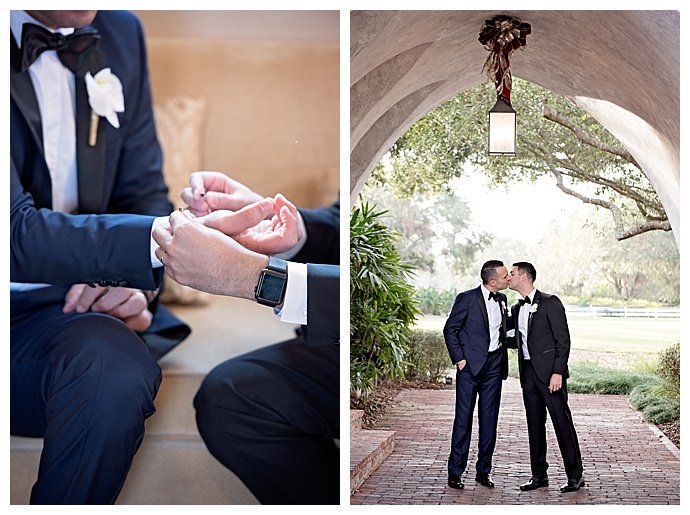 With the ceremony already out of the way, they picked the historic Spanish farmhouse, Casa Feliz, for a lovely outdoor reception, and Jamie Reinhart Photography was there to capture all the gorgeous details. 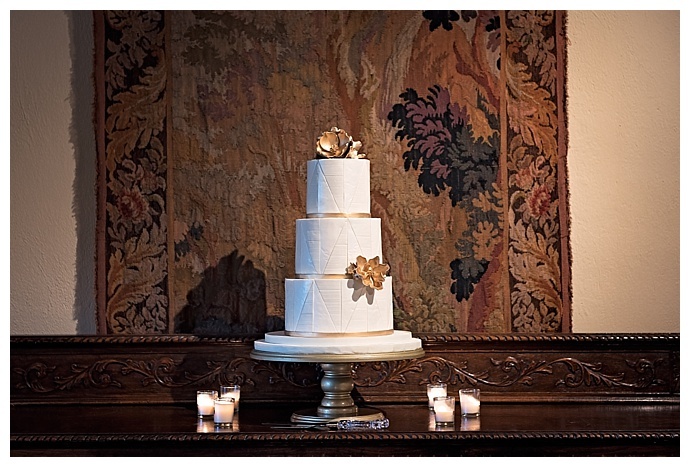 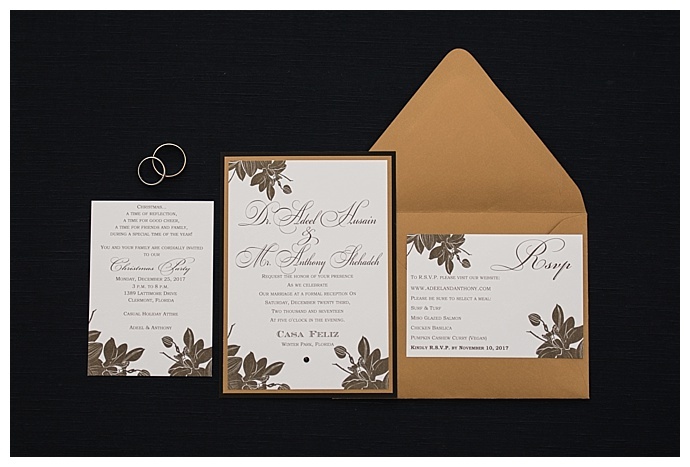 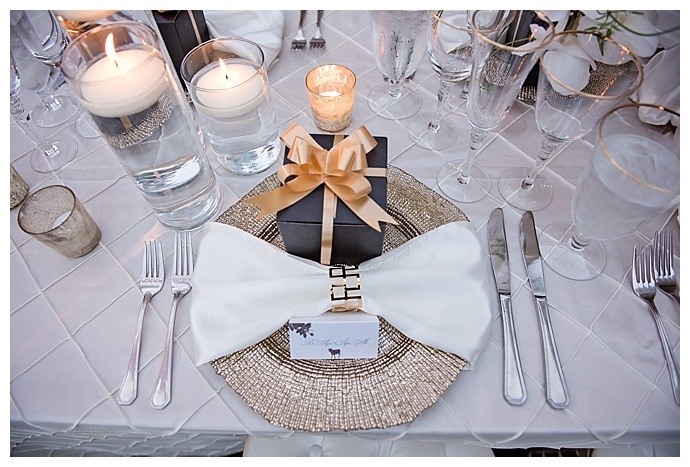 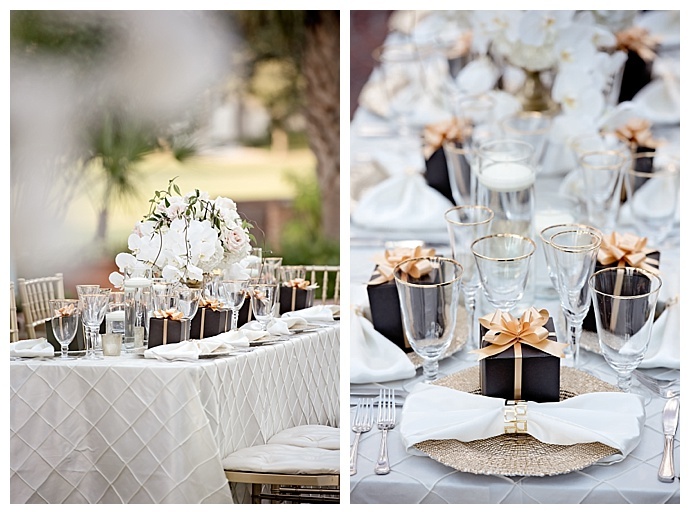 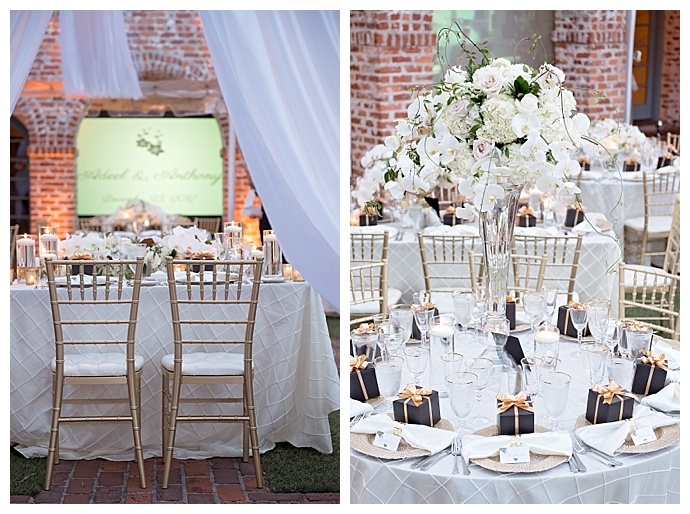 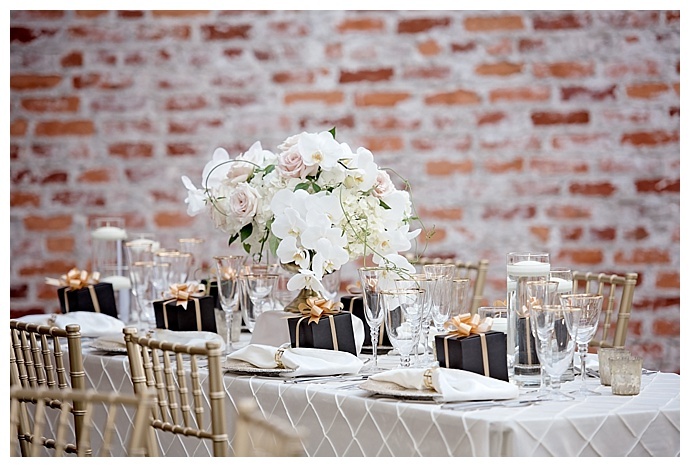 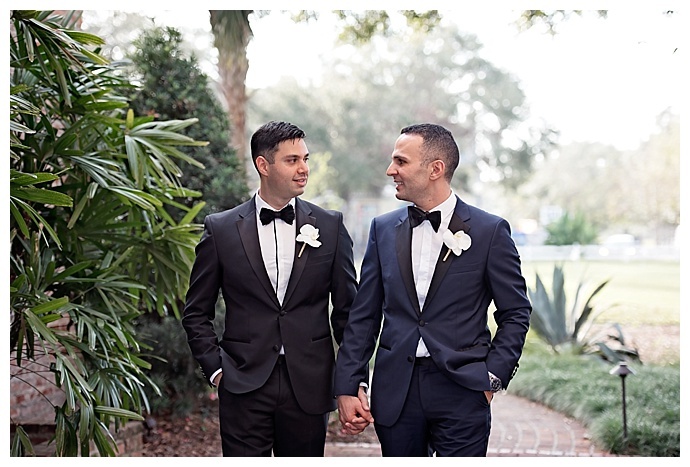 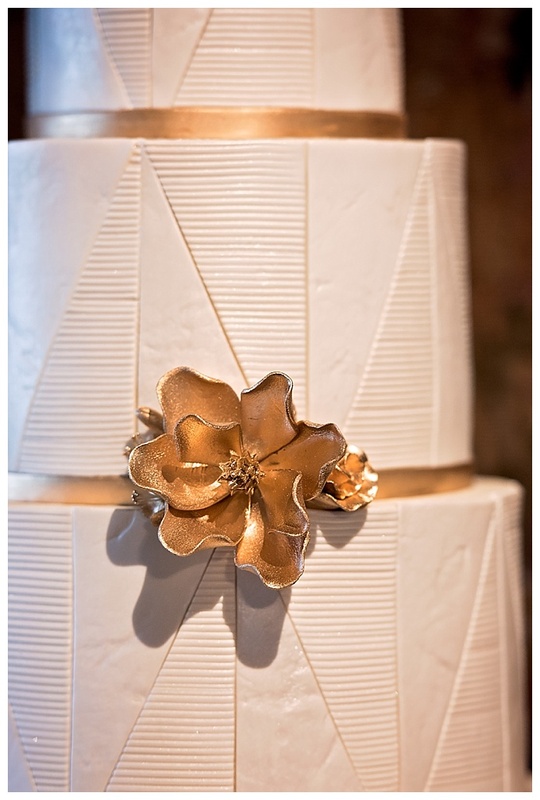 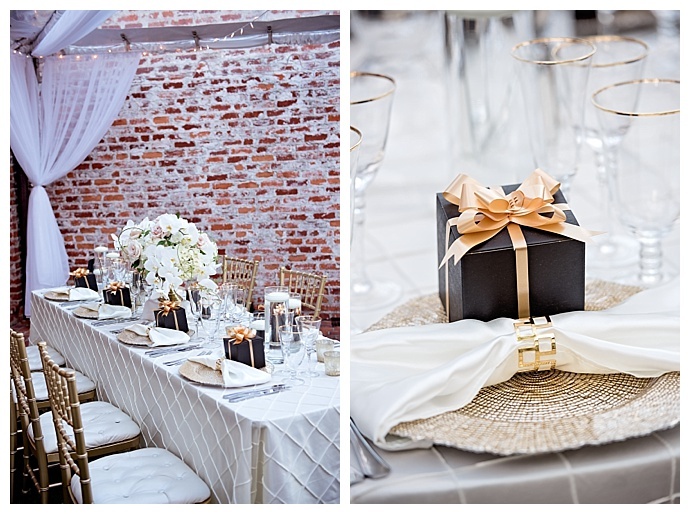 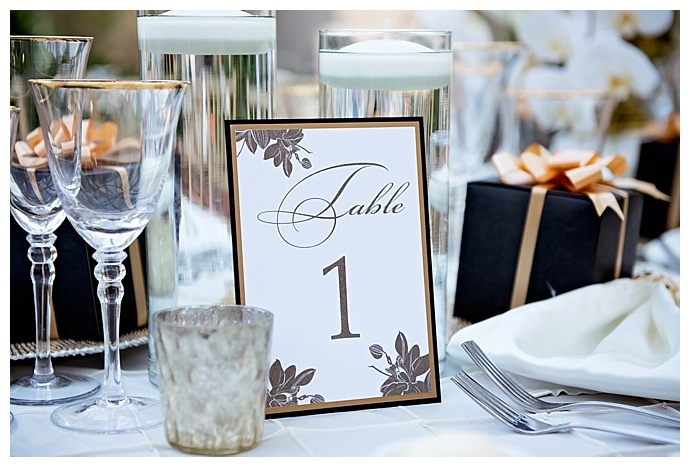 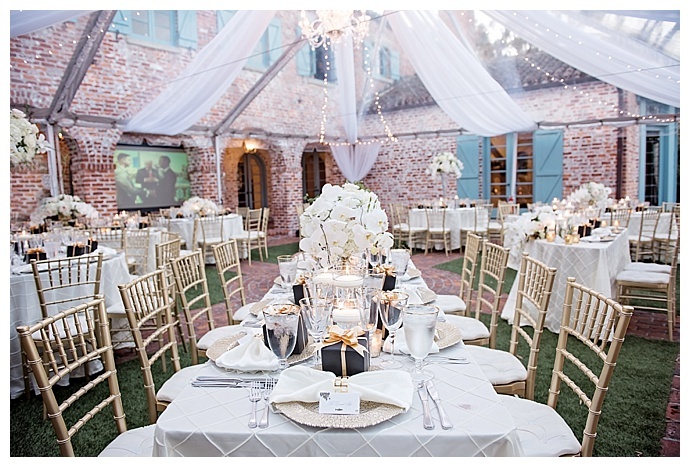 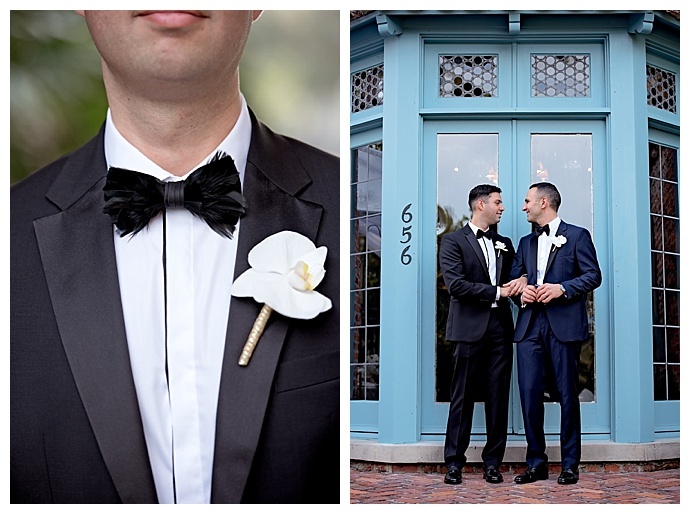 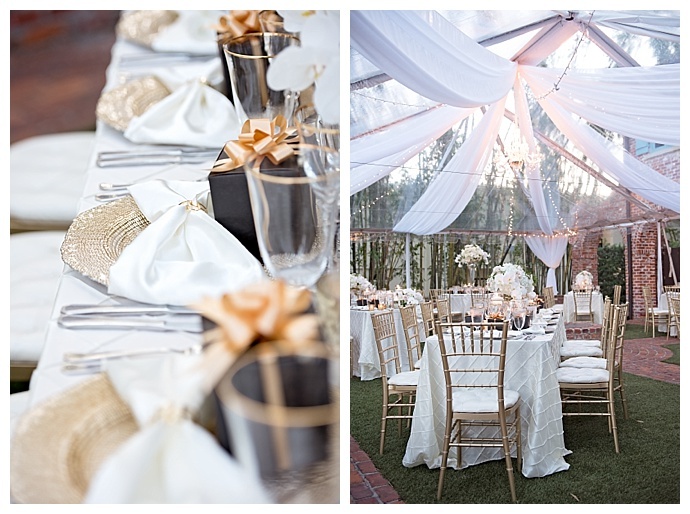 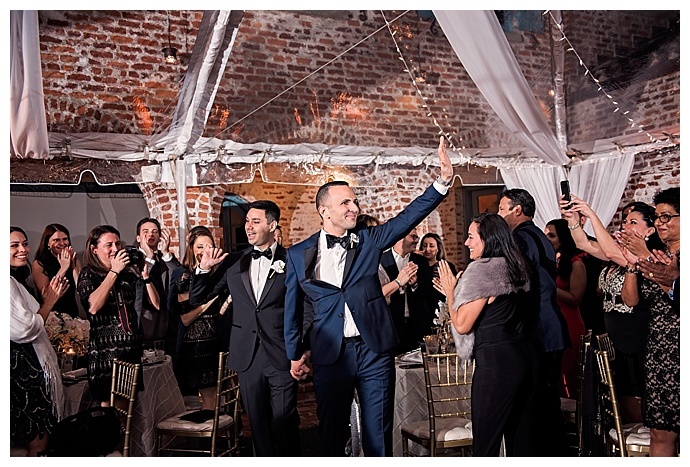 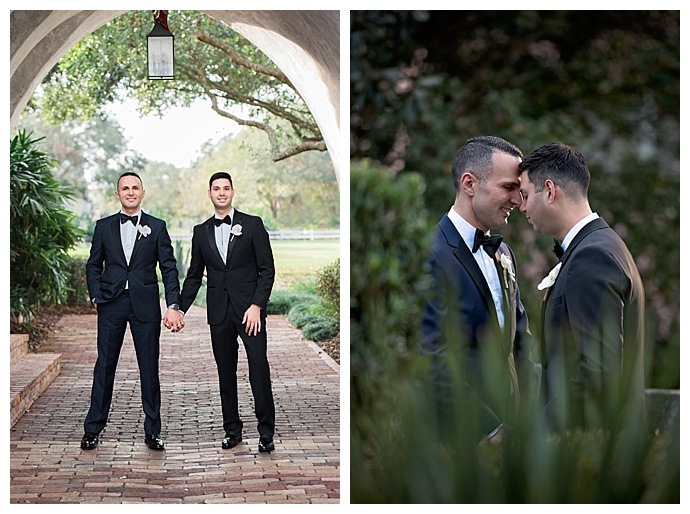 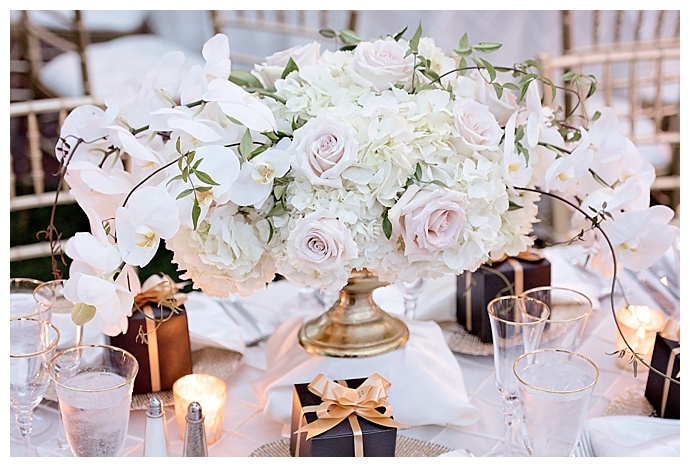 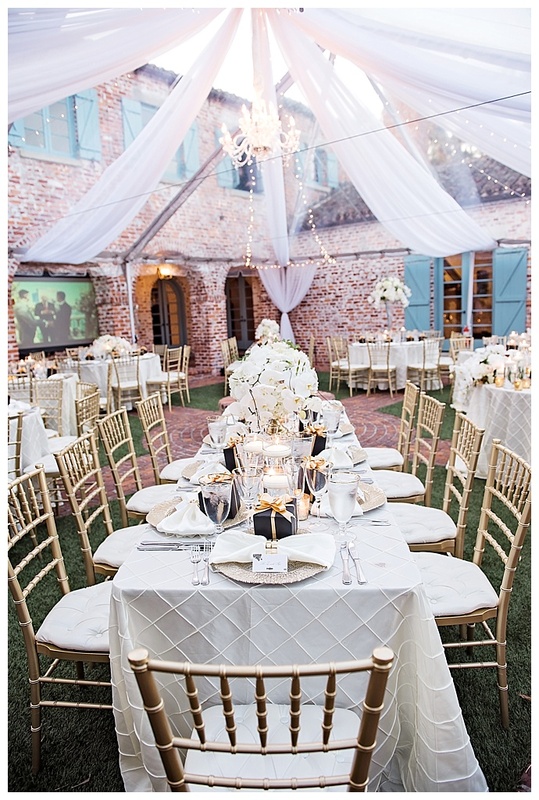 In the back courtyard underneath a clear tent, Anthony and Adeel filled the lush outdoor space with an elegant and modern color palette of ivory and gold with touches of black. 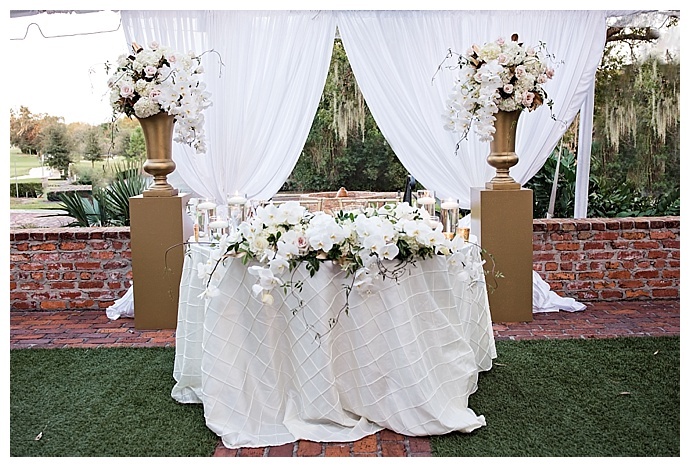 Beautiful white orchids, hydrangeas and roses decorated the tables that were lit by candlelight, and the groom’s sweetheart table nestled between two grand floral arrangements was simply divine. 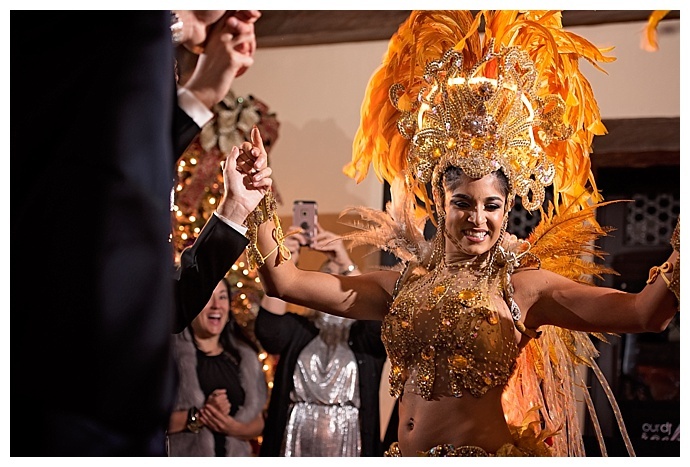 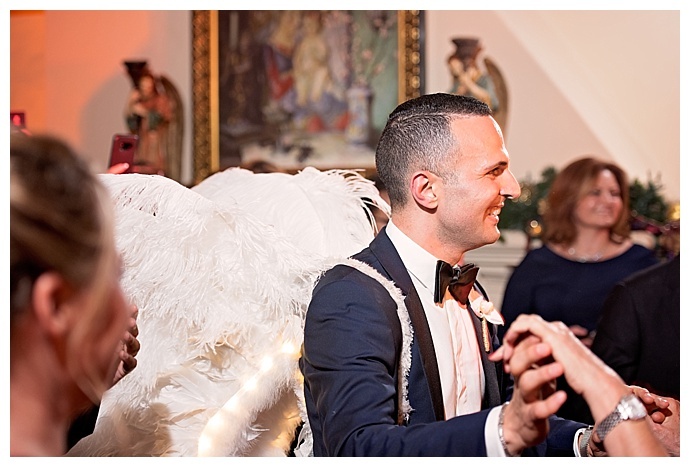 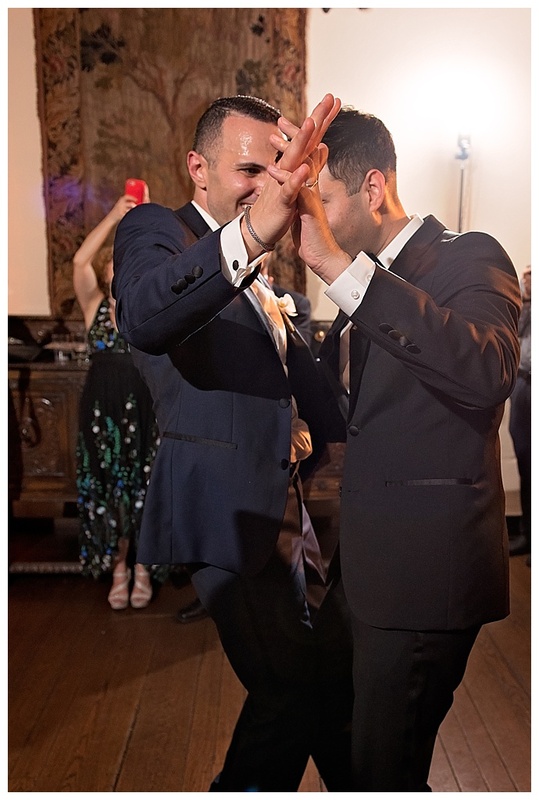 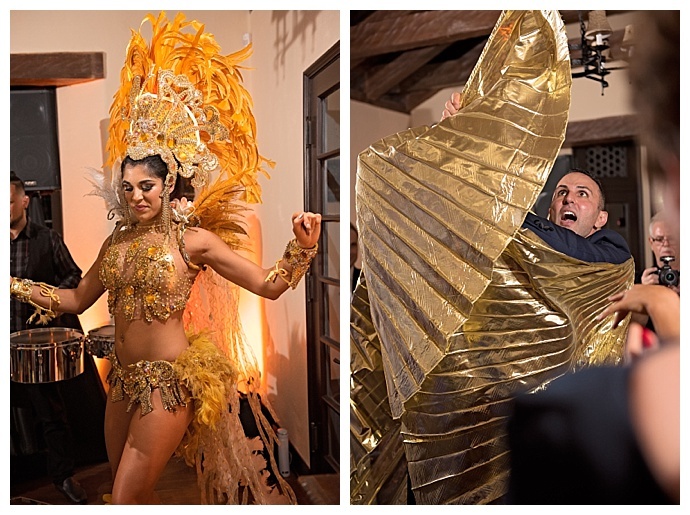 After the newlyweds cut into their cake, they surprised their guests with traditional Brazilian samba dancers, and along with their closest friends and family, they danced the rest of the night away!